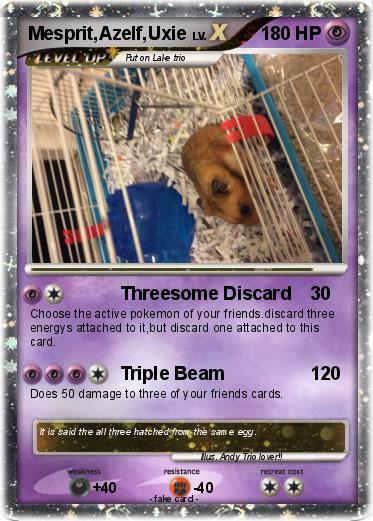 Choose the active pokemon of your friends.discard three energys attached to it,but discard one attached to this card. Does 50 damage to three of your friends cards. Comments : It is said the all three hatched from the same egg. Illustrator : Andy Trio lover! !